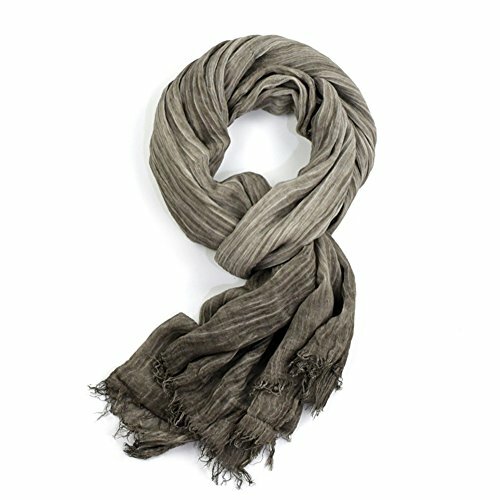 ❤ What's in the Box - 1 Men's Scarf; Product Dimensions: 78.7" x 27.6". ❤ Always use the best quality material - Using natural cotton and linen material, good breathability, soft and comfortable. ❤ Unique Design - Pure color, adding the latest wrinkle element, cater to fashion tide. ❤ Fashion accessory for Daily wearing - The winter scarf can make your appearance more attractive, also bringing you warmness. It can easily match all your winter wardrobe.